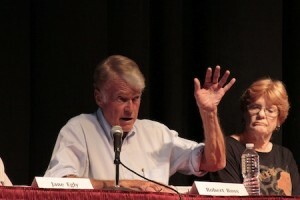 Five candidates vying for election to two Laguna Beach City Council seats laid out their arts credentials before a forum organized by the Laguna Beach Arts Alliance last Saturday. 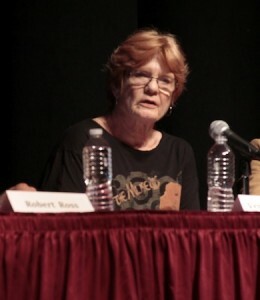 Asked about the role arts played in their personal lives, challenger Steve Dicterow cited his Festival of Arts’ board membership, Robert Whalen his marriage to Festival of Arts’ exhibitor Kirsten Whalen, Mayor Jane Egly cited her role as liaison to the Arts Commission and as an ex-officio member of the Festival of Arts board, incumbent Verna Rollinger confessed she had not missed a Pageant of the Masters performance in 42 years, and Robert Ross cited his experience in the film and television business. As part of his opening statement, Whalen cited a recent study about the arts’ economic influence, generating 1,300 jobs and $50 million in revenue for Laguna’s economy. “From the college to downtown, the arts need a properly functioning city infrastructure,” he said. An array of infrastructure needs to sustain the arts — from added parking at a long-sought Village Entrance to improvements on the Festival of Arts’ grounds to artist live-work spaces and the viability of a new cultural center — carried the day. 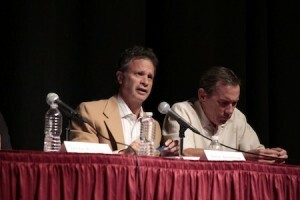 The candidates responded to questions posed by the public and those selected by moderator Greg Vail, president of the Laguna Plein Air Painters Association. Asked if the Village Entrance project could come to fruition during their term in office, Egly expressed reservations about newly revived efforts by council members Elizabeth Pearson and Toni Iseman, working independently as a subcommittee on the project stalled for years by numerous setbacks. “Once you go into a direction, it’s hard to make changes,” she said. The need for road improvements to lure in art patrons also loomed in discussion. The candidates were unanimous in their support for making downtown more pedestrian-friendly. 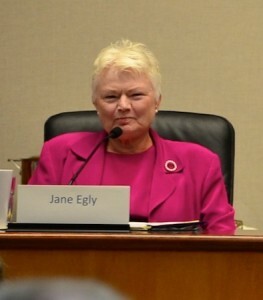 Egly described support for making thoroughfares friendlier to bicyclists and pedestrians, which would reduce the number of cars. 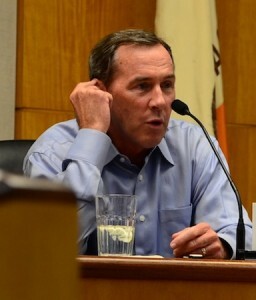 Egly, Dicterow and Whalen raised questions about Caltrans administration of Laguna Canyon Road and Coast Highway, and cited the cities of Dana Point and Corona del Mar for successfully wresting control from the agency. Asked about the need for a cultural arts center, Ross nixed the idea as another bureaucracy and expense. Dicterow cited a need for such a facility, which he suggested for the Festival of Arts grounds. “The money is there in the form of the capital improvement fund,” said Dicterow, referring to 6 percent of revenue set aside as required in the Festival’s lease from the city that runs through 2041. As part of the discussion on the cultural arts center, Rollinger disclosed that on-going negotiations are deadlocked between the city and the Festival of Arts over improvements on the grounds. She is a member of the city’s Irvine Bowl Policy Committee, which also includes council member Kelly Boyd and Festival board members. After the forum, Dicterow said tennis courts on the festival grounds are under consideration as a possible site for the center. According to the terms of the current lease, alterations to the courts are not permitted without council approval. Asked how to sustain arts in the community, the candidates all supported streamlining the permit process to develop artist live-work spaces. Egly said she would support repurposing existing industrial spaces as live-work studios. “Laguna is the arts, the arts are Laguna. To enhance that, we have to have to have dedicated staff people in city hall. After all, you can not take three steps in town without knowing that it’s an arts community,” said Egly, in her closing statement.